The slight quarter-on-quarter decline in the gross domestic product was mainly due to the development of foreign trade. According to provisional calculations, exports were down while imports were up in the third quarter of 2018 compared with the second quarter of the year. As regards domestic demand, there were mixed signals. 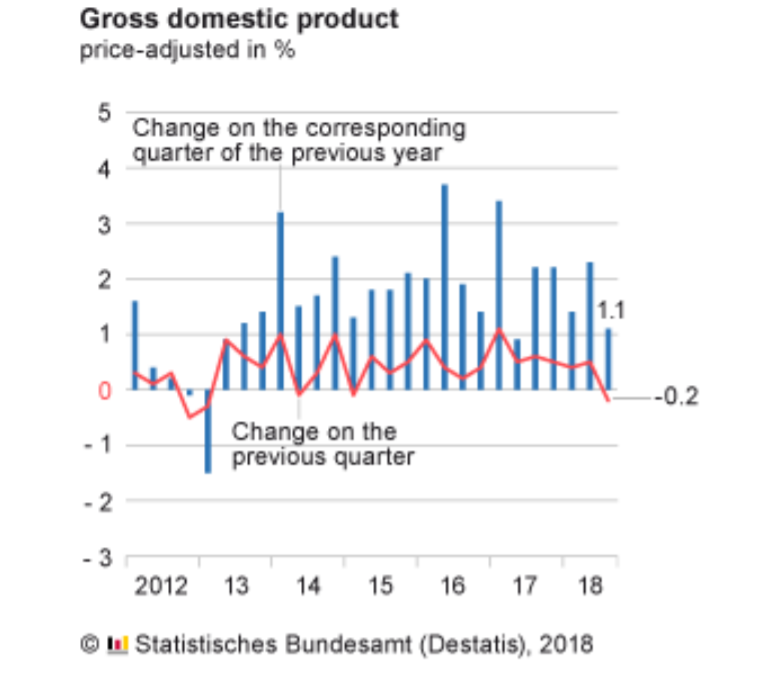 While gross fixed capital formation both in machinery and equipment and in construction was higher than in the previous quarter, final consumption expenditure of households declined. Government final consumption expenditure was slightly higher than in the previous quarter. Next PostNext U.S. student debt outstanding now stands at $1.56 trillion but growth is slowest ever; Is university education value for money?